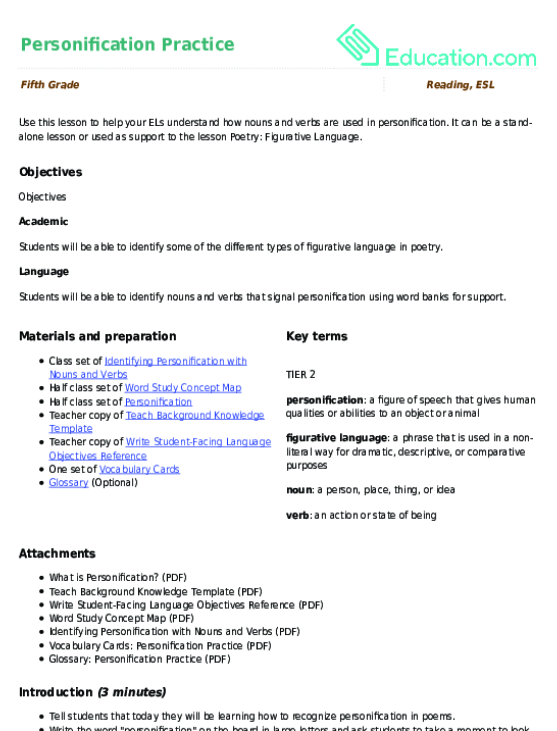 Use this glossary with the EL Support Lesson: Personification Practice. Use this lesson to help your ELs understand how nouns and verbs are used in personification. It can be a stand-alone lesson or used as support to the lesson Poetry: Figurative Language. Help your writing sing with personification! Practice identifying the different examples of personification in these poems by Emily Dickinson. 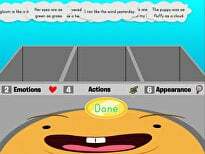 Students will learn to identify personification using nouns and verbs as signal words! 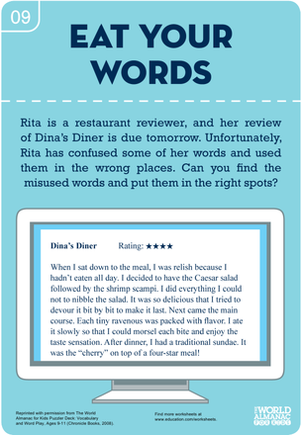 Flex your child's vocabulary skills with this worksheet, which has your child helping a mixed up restaurant reviewer rearrange words.